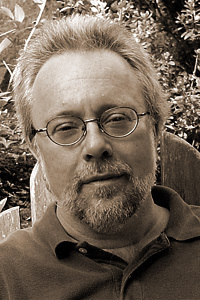 David Wojahn’s eighth collection, World Tree, was published by the University of Pittbsurgh Press in the spring of 2011. His previous collection, Interrogation Palace: New and Selected Poems 1982-2004 (University of Pittsburgh, 2006) was a named finalist for the Pulitzer Prize and winner of the O.B. Hardison Award from the Folger Shakespeare Library. He has received numerous awards and honors, among them a Guggenheim Fellowship, two NEA fellowships, the Amy Lowell Traveling Poetry Scholarship, and the Carole Weinstein Poetry Prize. Wojahn teaches at Virginia Commonwealth University, and at Vermont College of the Fine Arts.